I'm back from New York for a few days now, and today I want to share with you a first outfit post from the first day in New York City. 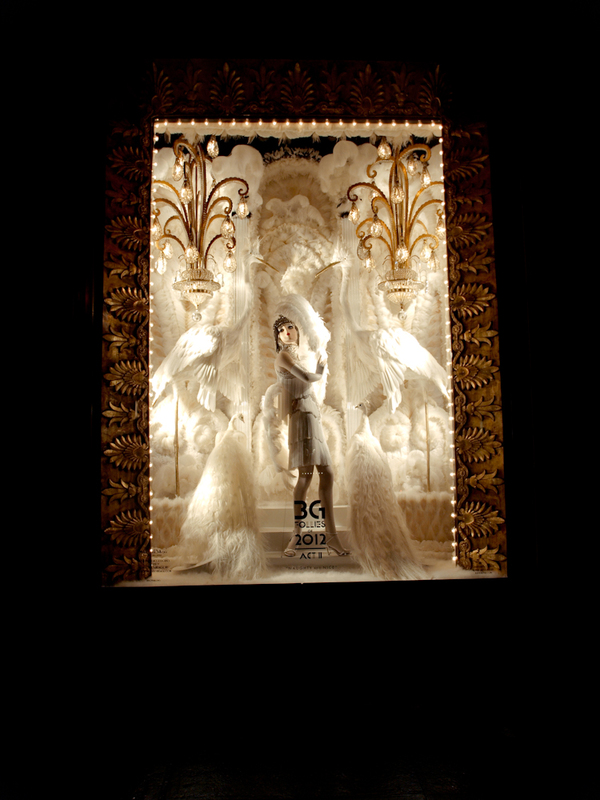 If you have been following my blog since last year then you probably know already that Bogdan and I created a tradition by going to N.Y every year around Christmas time. This time was a little bit different and we decided to stay 3 days instead of 1 because there are so many things to see and enjoy in this magnifique city. We took these photos right after we got to the hotel, and let me tell you that the weather was not so great. That's why I chose a bright ( coat and sweater) to brighten up my day + practical for rain (boots and leatherette pants) outfit. This look was accentuated by mirrored sunglasses( thanks to zeroUV) and this messenger bag. 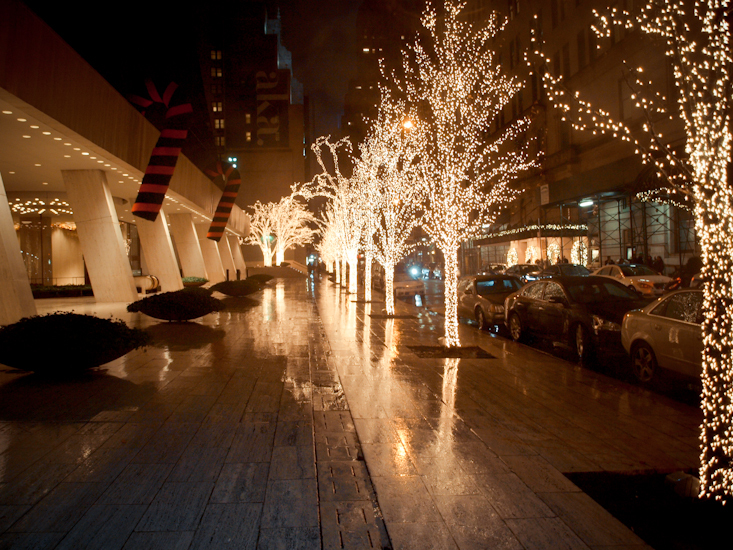 I hope you like it and soon more photos from N.Y! Amazing outfit! I love your yellow sweater! 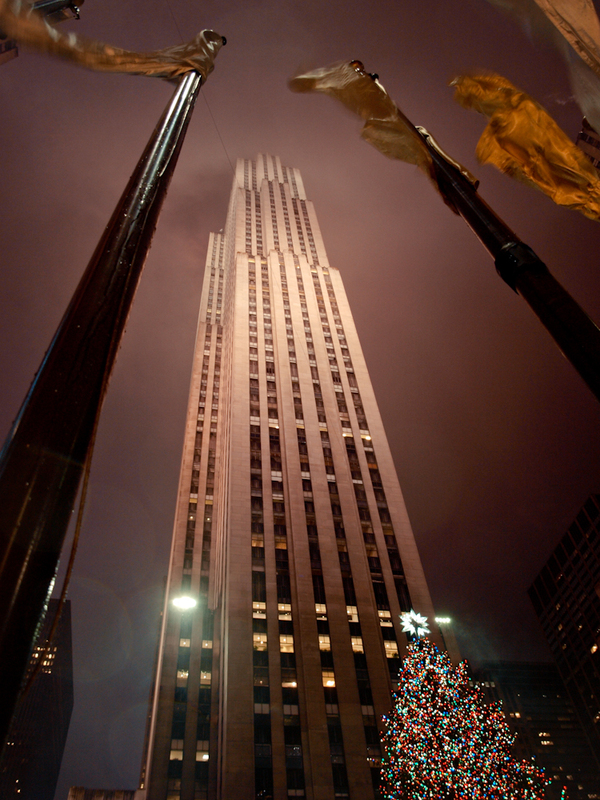 New York is so magical at Christmas-time, isn’t it?! 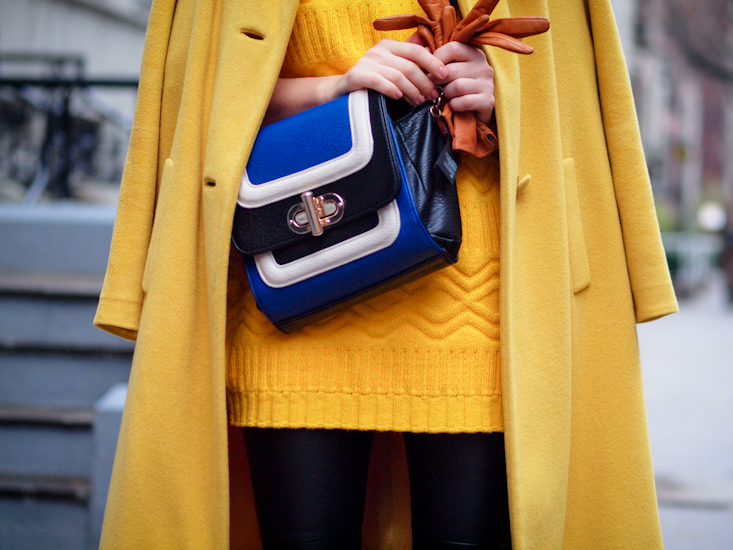 Love the bright yellow pieces and how you toned it down with black leather…just perfect! If we liked it???? we LOVED it!! !I am sure I told you before, from all the great colors you wear, YELLOW is YOUR color!!!!! You are so radiant in this color, the turtleneck is wonderful and the coat! Bogdan is a WONDERFUL photographer(I already said this too! ), and I love his work!!!! 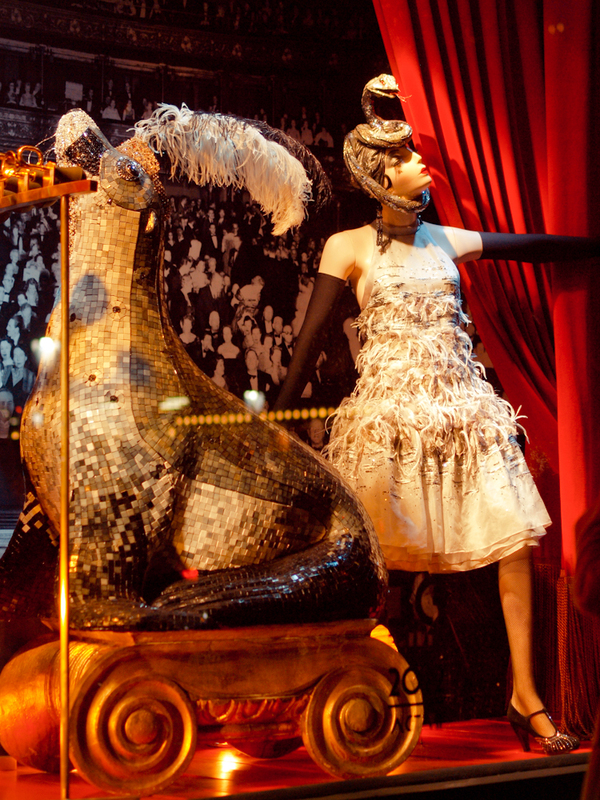 Magic NY in Xmas time!!!!magical! Thank you dear Vanda ! that color of yellow looks gorgeous on you and I’m so jealous you got to see nyc with all of the christmas lights and decorations!!! 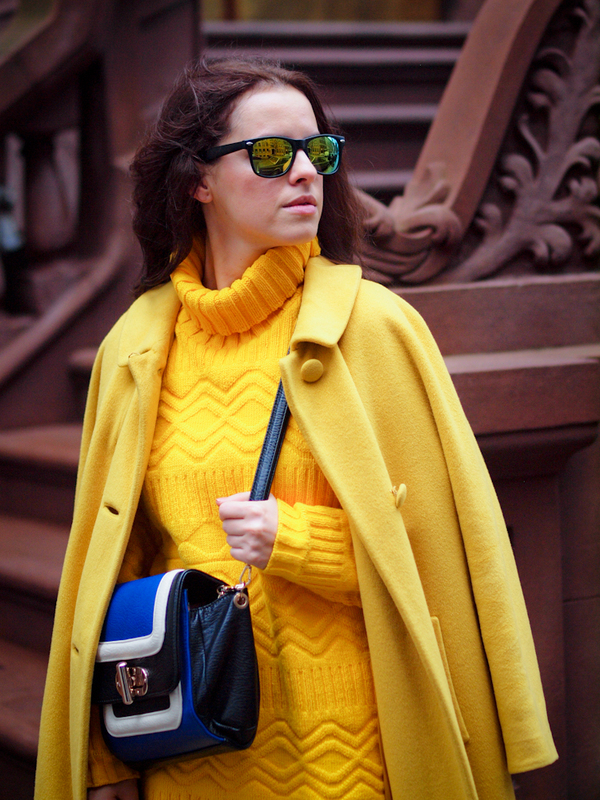 yellow should officially be your go-to color! it looks fabulous on you lady! Such a great look! Loving how your rocked the bright colors! 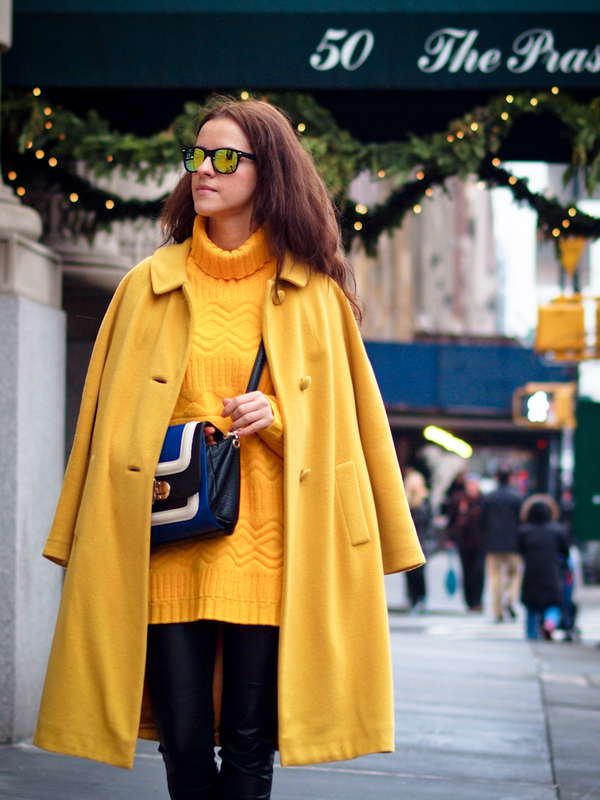 In love with your long yellow knit sweater! wow! totally love this look!!! amazing pics! i usually shy away from yellow and black, but you did it perfectly! perfect colors!!! 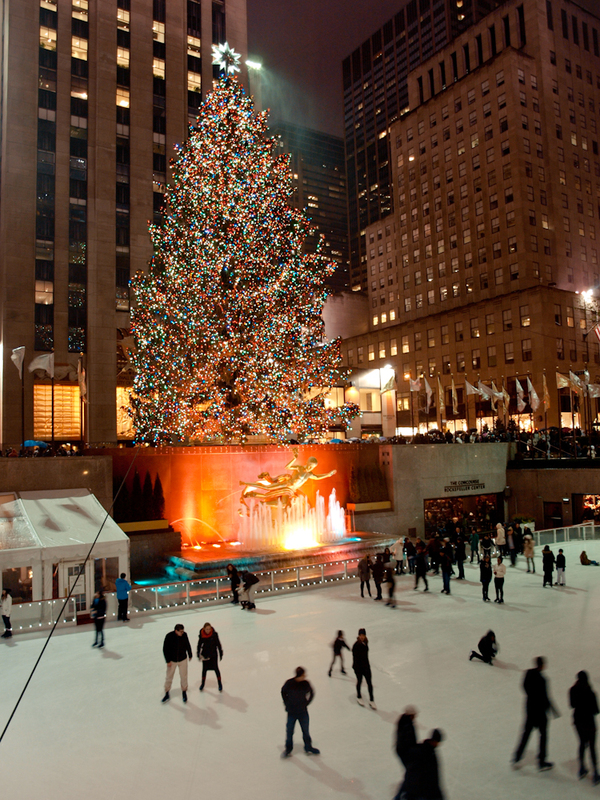 I love to spend Christmas in New York! Gorgeous photos Veronica! The photos of you are spectacular. Don’t you wish you lived in the city just for the fabulous scenery…I do. We are only an hour north so we are there a lot and actually avoid it this time of year just because of how cold it is..when the kids get older we will definitely make this a tradition like you! Great look! You did well pairing the yellows without it looking like too much! Have a great time in NYC! I need those pants they look amazing! Absolutely love the look! New York needs some color these days! Great outfit! Love your boots!! Amazing pictures! I hope you have had a good Christmas!